Founder and Director of Euphoria Yoga has over eighteen years of teaching experience in New York city and locally. She received her Yoga Teaching certification from the Jivamukti Yoga School in the year 2000 after completing the full one year intensive certification program lead by Sharon Gannon and David Life. Corinne taught all levels at The Jivamukti Yoga School in New York City from 2000-2005. Prior to that Corinne taught the Lotte Berk Method which incorporates element of Yoga, dance and therapeutic stretching in New York city and the Hamptons. In 2005 Corinne received her Advanced Jivamukti certification. 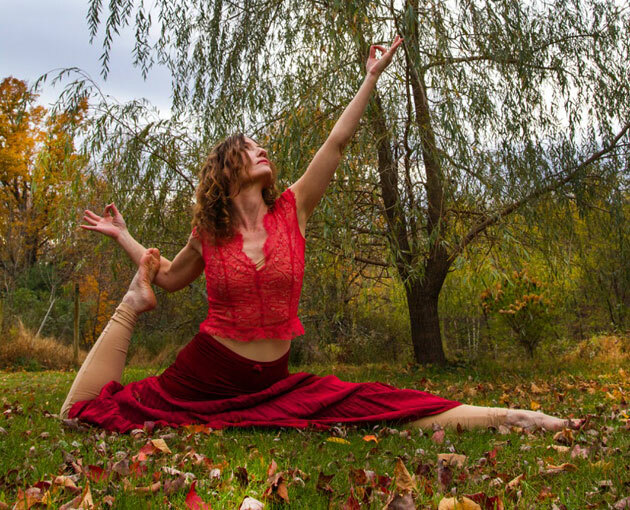 Upon moving to Woodstock full time in 2005 Corinne taught locally until 2009 when she opened Euphoria Yoga. She is thrilled to bring her passion for Yoga to this studio and to serve the amazing community she has found here. Corinne offers much gratitude to her main Yoga teachers Sharon Gannon, David Life as well as to all the wonderful teachers that she takes classes and workshops with which continue to inspire her. Corinne offers deep thanks to her beloved students, family and friends that enhance her life daily and her aim is to do the same to the lives of as many beings as she can reach.